Seedsavers as a movement has expanded in Japan beyond belief in the last 12 years. Today the quest for clean food in Japan is linked to varietal diversity. old varieties of fruit and vegetables are a sine quanon of quality. Many organisation are supporting the ideas of local varieties for japanese health food. 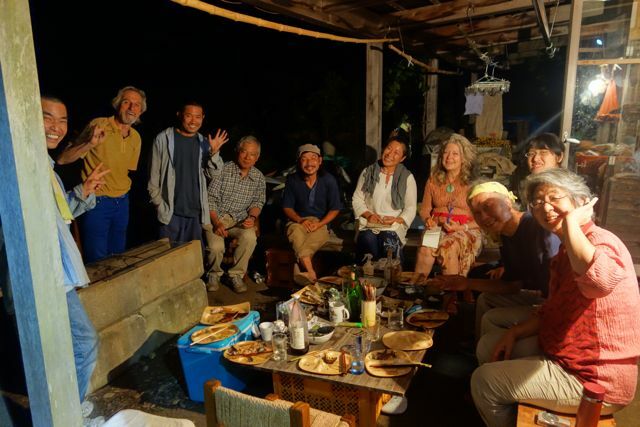 Former interns Masami san, Masako san and Taiji san join in a meeting of seedsavers friends in Mie Prefecture near Ise shrine for food, seed, shelter and clothing. photo available on facebook page of the seed savers network.